Why Choose a Multi Color Portfolio? A multi color mutual fund portfolio to make your Holi 2019 more colorful. Holi, the festival of colors, fun, & frolic is here again and a wave of happiness can be seen among the people. Everyone is planning to celebrate the day in their own way with one common objective of getting the most out of this day. Now, one common factor among Holi and mutual funds is that just like Holi is incomplete without a perfect mixture of colors, mutual fund investments are incomplete without a perfect mixture of schemes from different categories. So, to make your Holi 2019 more colorful and happening today, we bring you a multi color mutual fund portfolio for optimal growth in the long term. Let’s take a look. SBI Small Cap Fund is the first color in this portfolio and is one of the strongest. Over the years this small cap scheme has provided an exceptional growth to investors, and the same can be seen from the return table provided above. The scheme follows a focused investment style, with current investment in 43 stocks. To make sure that risk adjusted returns can be provided to investors, growth type stocks are preferred the most. As for market cap allocation, small caps (64.29%) hold the major allocation, followed by mid caps (27.75%), and large caps hold the least allocation (6.96%). FMCG, finance, engineering, and services sector holds the major allocation, all of which are expected to show great growth in the near future. All these factors make it one of the best funds for long term capital growth. A little bit milder than the previous one, L&T Mid Cap Fund is a scheme which invests in the stocks of companies which rank 101-250 in the stock market in terms of market capitalization. This mid cap fund has maintained a top ranking in the mid cap category for a very long time, and all the credit for this goes to exceptional management by Mr. Soumendra Nath Lahiri. 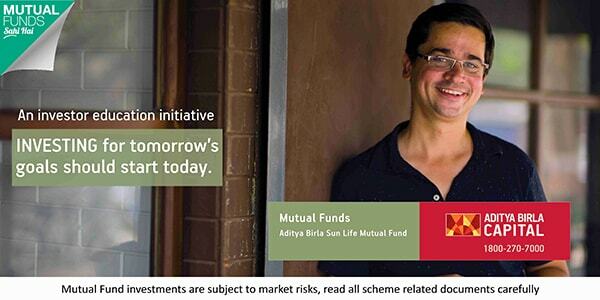 This scheme follows a diversified style of investing, which plays a great role in managing risk in the portfolio. As for market capitalization, mid cap holds 80.19% of the total equity investments, followed by small cap (11.12%), and large cap holds the least (8.70%). Finance, construction, healthcare & engineering are the top sectors, and the top equity holdings include big name of the equity market which are RBL Bank, City Union Bank, Emami, Torrent Pharmaceuticals, The Ramco Cements, and Divi’s Laboratories. A great growth factor for the portfolio. Now, a light color is needed to balance out the strong ones, and Reliance Large Cap Fund is perfect in that sense. It invests in the stocks of companies that rank 1-100 in the equity market in terms of market capitalization, which helps it in showing great stability even during volatile market conditions. Currently, this scheme is following an investment style which is a blend of growth & value investing, which will help it in providing great returns in the long term. Currently, Finance (35.48%) is the most preferred sector, and the top equity holdings in the portfolio consist of top banking stocks which are State Bank of India, Axis Bank, & HDFC Bank, which further strengthens the growth factor associated with the fund. A must have scheme in every mutual fund portfolio. The last one is Mirae Asset India Equity Fund, and depicts the light color with a strong effect. This scheme has maintained a great consistency in returns and in every return cycle it has outperformed benchmark as well as the category. Currently, the scheme is following a large cap (86.85%) oriented portfolio, but also holds a considerable allocation in the mid caps (11.50%), and the least in small caps (1.66%). The stock picking is diversified with current investment in 61 stocks, and the growth type stocks are given higher preference. Looking at the overall investment style, optimal performance is expected in the future too. These are the mutual fund schemes which you can invest in 2019 to create a perfect multi color mutual fund portfolio. Now, just like you have your own preferences regarding the proportion of the colors, how much amount you want to put in individual schemes also depends on your preferences. Also, by investing now, you can get all these colors at discounted prices (NAVs are lower due to past one year volatility). Just make sure that the investments match with your risk appetite to ensure a smooth investment journey. So, enjoy this day of colors at the fullest. The entire team of MySIPonline wishes you all a Happy Holi!! !